Im a Fan of The Eyebrow Specialist... Are you? Fill in the below form and you can recommend ‘The Eyebrow Specialist’ to a friend or family member via a text message. 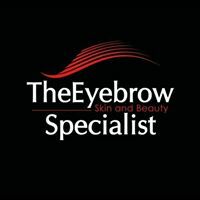 Show your support with a quick share of ‘The Eyebrow Specialist’. Rhina helped me re-shape my overplucked uneven brows over a year ago and I’ve been going back to her ever since! She’s very experienced and every visit has been positive. Thanks Rhina! I started going to Rhina 4 years ago and have never gone to another specialist since! I always leave happy with the result, Rhina is amazing at sculpting the perfect eyebrow. She’s so lovely and I highly recommend her to everyone! Rhina is professional and highly experienced in all beauty services. She makes me feel relaxed and happy every time. Rhina is very professional and does an amazing job. The salon is a beautiful and relaxing environment. Rhina is amazing. Her attention to detail is great. I won’t let anyone else touch my brows. She has reshaped my brows to suit my face and I LOVE them! Rhina is amazing at what she does! I always leave feeling like a new woman. Her attention to detail is meticulous and she is very personable. The eyebrow specialist is a true artist at what she does! Her skill and professionalism is of the highest quality and my eyebrows have never looked so good! The eyebrow specialist is amazing and I will never go anywhere else ever again! Wow wow wow! Rhina has been fixing my eyebrows over 12 months, following a disastrous appointment with my prior technician. Her work is stunning and I have eyebrows that look on fleek. Fantastic work Rhina and I highly recommend you to all my friends. I always love my eyebrows after visiting Rhina. She does an amazing job. I highly recommend her. Rhina is an amazing eyebrow specialist. She’s so talented and professional. Great personality and great service she provides. She goes above and beyond to fix a minor problem. Highly recommended. I have been going to Rina for nearly a near now for my facials, she is amazing and have great wealth of knowledge on the products and work she does and all the advise she gives in regards to skin care. I highly recommend Rina to anyone looking for beauty theropy or eye brows. Rhina is fabulous. She has been my eyebrow lady for a few years and everytime she gets it right. Her home salon is professionally set up and has a welcoming atmosphere. Rhina is polite and extremely welcoming herself. I always recommend Rhina to everyone I know and I get asked often where I get my brows done. She truly is a professional and it excellent at what she does. Sarina is very passionate with what she does being an eye brow specialist and her beauty treatments…. time …interaction with clients… builds her trust and loyalty… respect… listen to her clients expectations… super amazing therapist!!! Recommended to everyone!!! I have been going to Rhina for a few years now and could not imagine going to see anyone else. She is so knowledgeable in everything she does is passionate and does an amazing job. She had put me on the right track with my skin routines, & my brows and lashes have never looked better! Rhina does amazing work. My brows always look amazing after she’s worked her magic 🙂 She is very skilled and experienced at what she does, and always makes you feel relaxed during your appointments. I highly recommend her to anyone and everyone!!! I haven’t been to any other beautician in years, and I would rather leave my brows alone than let anyone else touch them! Rhina is the ultimate artist and a consumate professional, I highly recommend her to anyone who appreciates a good brow! Amazing eyebrow specialist! Always takes her time to ensure my brows are perfect time and time again! Have been going to this lady for so long and just couldn’t trust my brows with anyone else. Fantastic service and beautiful brows every visit. Could not recommend enough! Because eyebrows are such a prominent feature on your face you can’t just trust anybody with them. I was recommended Rhina (The Eyebrow Specialist) from a family member and upon going I found her to be very professional and talented at her job that she clearly has a passion for. I do not trust anyone with my eyebrows apart from her and Rhina makes the whole appointment one of the most amazing experiences. The workplace is impeccably maintained which also makes me confident in her services. I have no hesitation recommending her to anyone. With brows Rhina truly makes miracles happen. Rhina has been so wonderful in looking after me. She puts so much care and attention into making me feel comfortable and unashamed in my own skin. I’ve been seeing her over the past 2 years and I don’t plan to stop! Thank you Rhina for the work you do! I have been going to Rhina for about a year now and she is the best! She does such a wide range of beauty therapies and it is the best feeling walking out of her salon feeling a million dollars. I look forward to getting my brows done because it’s a little bit of me time and she does such an amazing job everytime, she is by far the best beautician I’ve ever been to. I recommend her to everyone that comments on my brows because it is so hard to find a good place to get your brows done! I’ve been going to the see The Eyebrow Specialist for nearly two years now. Rhina really is the Brow Guru. She is very patient, extremely knowledgeable and does such a great job everytime. Rhina is the best of the best!! She has so much talent and knowledge in what she does and I’m constantly getting compliments about my brows! Highly recommend! Omg where do I start? Rhina saved my tragic eyebrows almost a year ago. I have never let anyone touch them since. She is so talented and professional. I always feel so relaxed after my regular appointments and always look forward to the next one. I will continue to be a loyal customer and will always recommend her whenever the opportunity presents itself! I was always unhappy with my brows before coming to Rhina. Now I absolutely love them. I will never let anyone touch my eyebrows again! Im so nervous of having my eyebrows waxed from previous bad experience! However here my eyebrows were beautiful done and service and experience was amazing!! I had my brows done today and omg I am In love!! Rhina did an amazing job and is so lovely. I went in with two different shaped eyebrows and came out with two perfectly the same!!! Thanks so much! Rhina, what can I say?! You are a miracle worker and my eyebrows have never looked so good! I decided that my eyebrows needed an overhaul in preparation for my wedding. After a few months with Rhina, my messy eyebrows were sculpted to perfection! I never knew how important eyebrows were until met her you. Rhina, you are amazing at what you do, keep doing what you’re doing! You are amazing! I walked in with my overplucked brows, thinking you’d send me away with a plan to grow them and come back at a later date. Boy was I wrong, you transformed my brows first appointment and I love them! Such a relaxing atmosphere too! Thank you so much! I’m absolutely in awe of how great my brows look! Never have I ever had them look like this and i dont think I’ll ever go back to my old routine which was next to none. Rhina did such an amazing job and I’m going to recommend her services to everyone now!! I had been following Rhina’s page for a while, before deciding to make an appointment. Brows are so important and my precious experience left me with crooked eyebrows. From the minute I walked in, I felt at ease. Rhina asked what shape I was looking for and delivered fantastic results! Now I have found a fantastic eyebrow technician, I will definitely be coming back. Awesome work and my brows look fabulous! Been to a huge number of beauty therapists but no one will supercede the Eyebrow Specialist therapist! Always goes the extra mile to make her clients feel special and pampered. Excellent at what she does. The Eyebrow Specialist is true to its name. Amazing work and customer service and the environment is so inviting. Would highly recommend the Salon service.